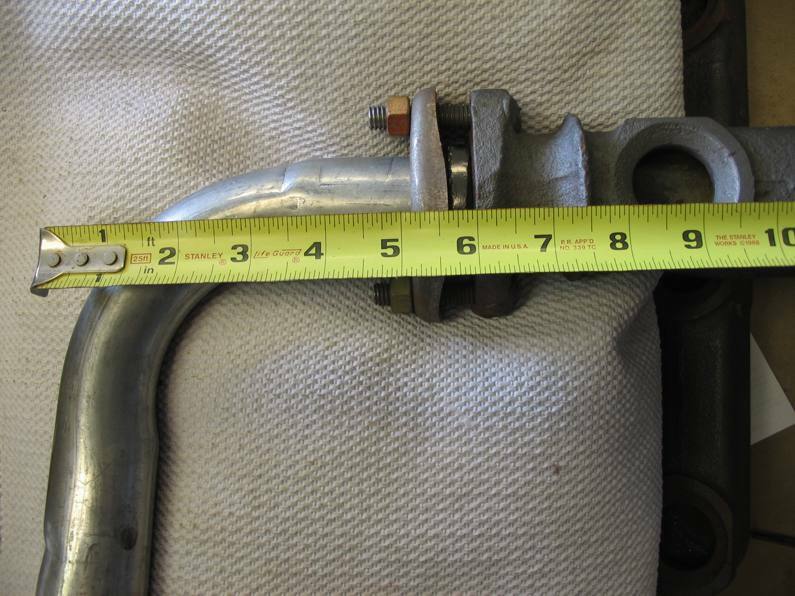 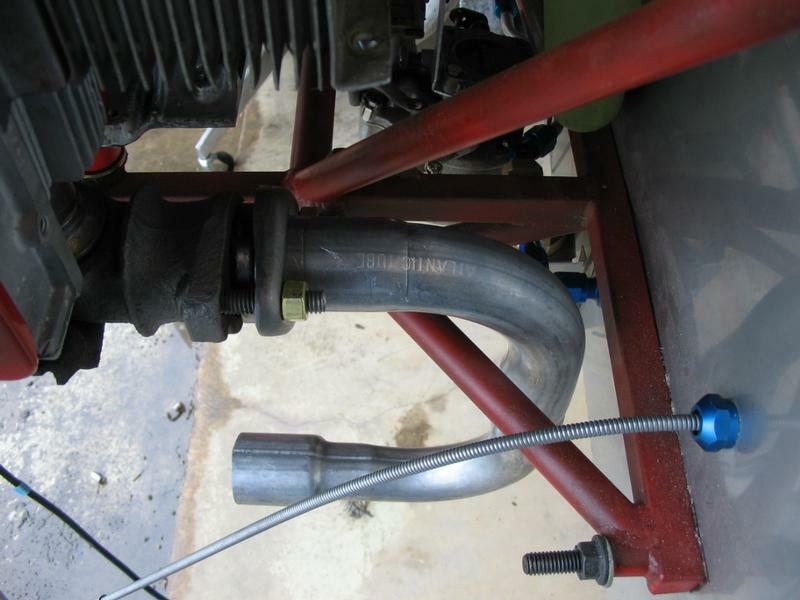 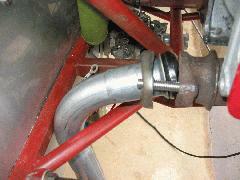 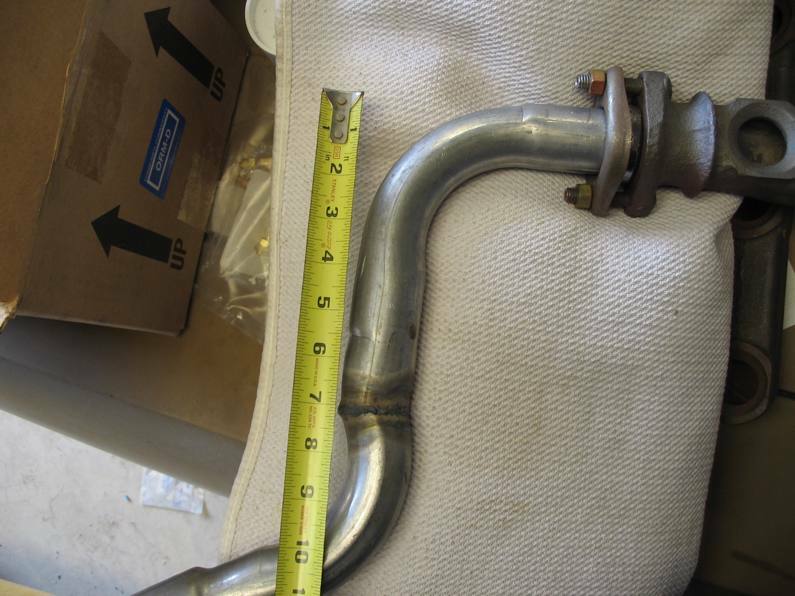 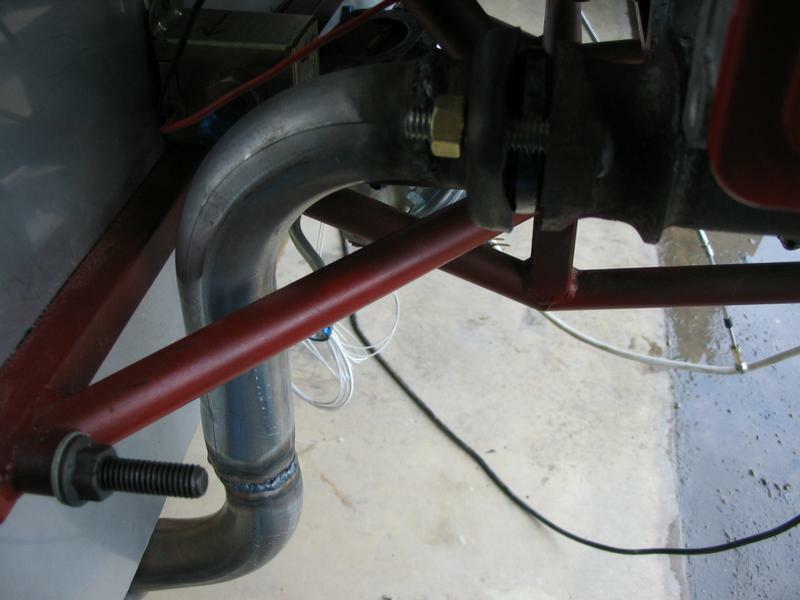 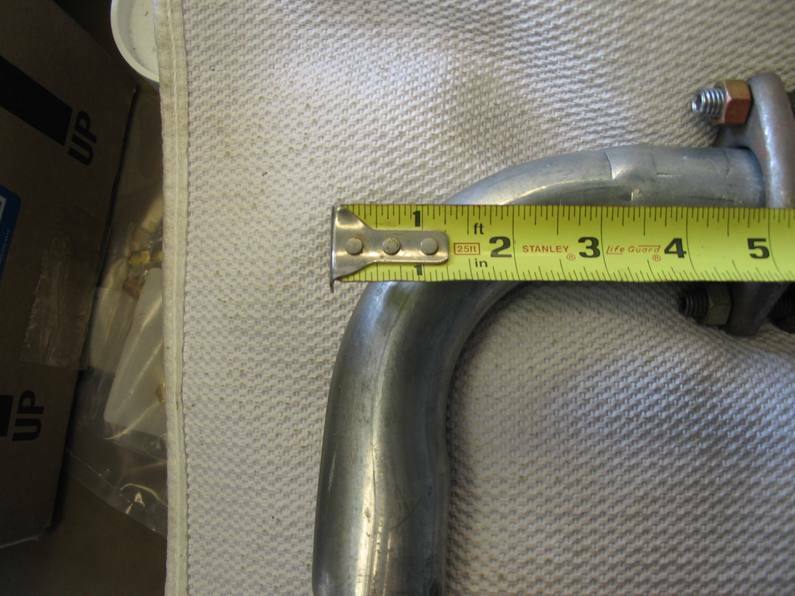 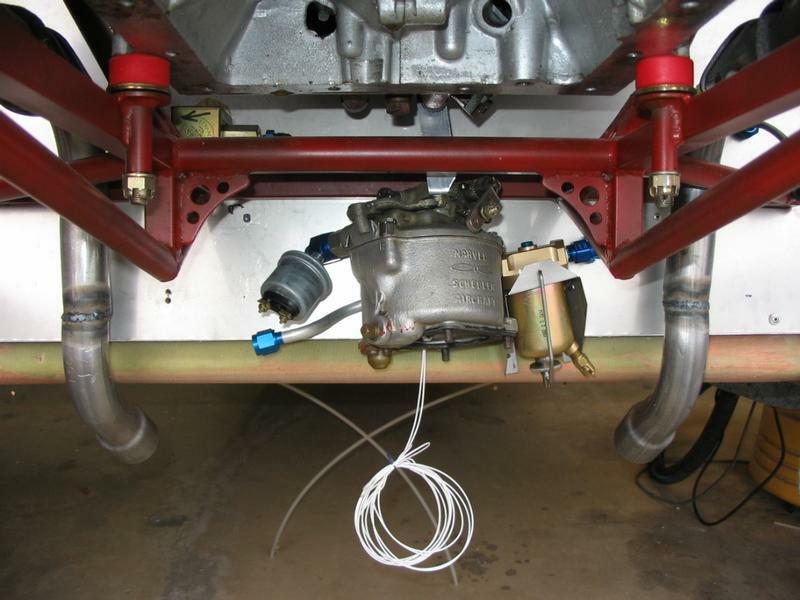 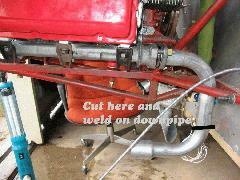 Corvair car exhaust 180 aluminized steel tube 1047R2 from Clarks Corvair fits perfectly and includes the flange. 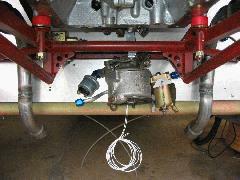 This is what it looks like if you bolt it on right out of the box. 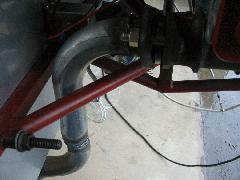 Obviously pointed the wrong way! Unfortunately, this part does not fit on the right side without some modification. The distance from flange to firewall is 1.5 inches shorter than on the left side. 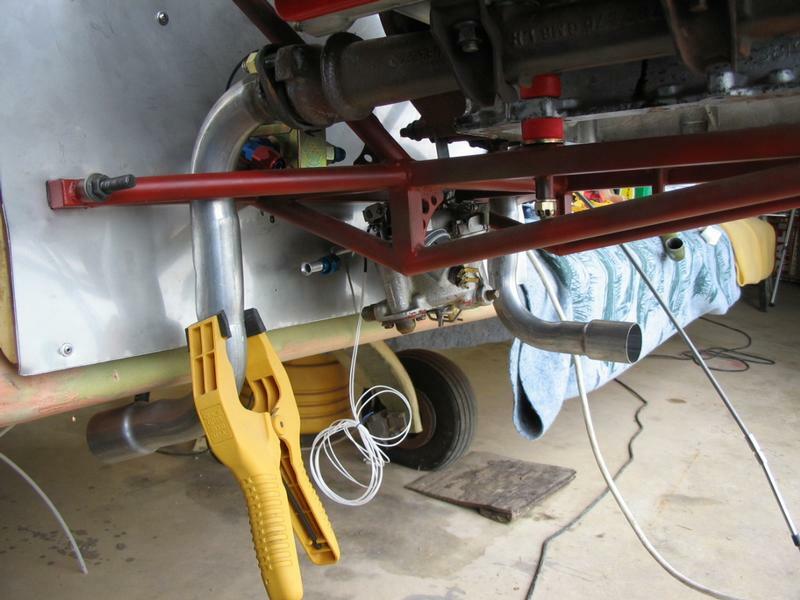 I'll do some surgery to shorten the tubing and reroute the fuel pump. After removing 1 inch from the tubing and re-welding it, the flange portion fits perfectly into the engine mount. Now I cut off the tubing at the bottom and will weld it back on facing the opposite direction, with a little more angle, and it fits perfectly under the canard. 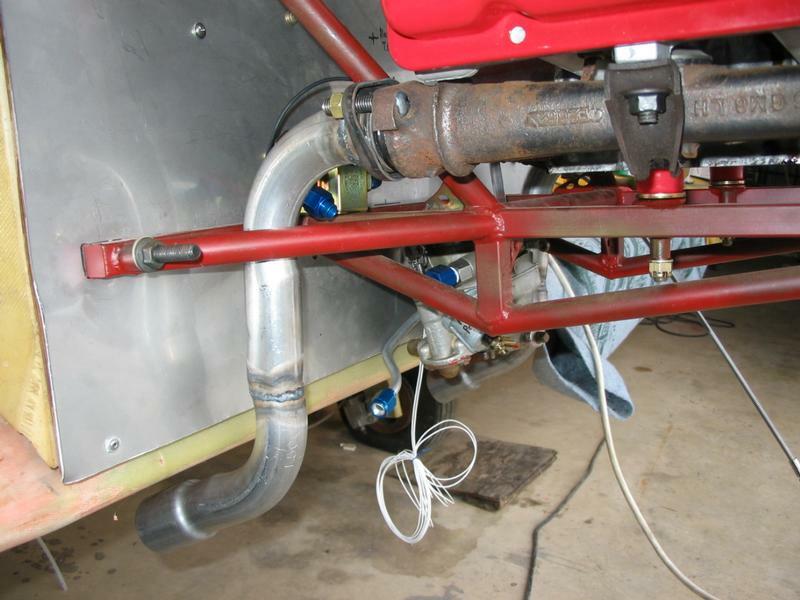 Note the one on the other side has not been modified and turned around yet. 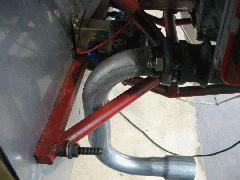 There is plenty of clearance inside the triangle formed by the motor mount to accomodate engine vibrations.